BRC (British Retail Consortium) defines standards for food and food packaging production, which are required by many retailers. The most established standards are BRC Globald Standard and BRC-IoP. Rhein S.Q.M. has many years of experience in the food and packaging industry and can offer a comprehensive certification service, incl. manual, HACCP-concept, process and work instructions, forms, product and process monitoring and coordination with accredited certification bodies. 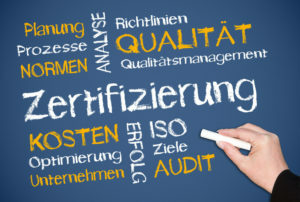 The implementation of a practical and target-oriented system will safeguard compliance with all requirements regarding risk management and traceability of products for consumer protection, and food industry experts at Rhein S.Q.M. will work in close cooperation with your own resources on the tailor-made development of a HACCP concept that exactly matches your business needs. We open doors for your enterprise by ensuring compliance with the internationally recognized BRC and BRC-IoP standards for the food and packaging industry by providing support in the generation of all process documentation, risk management, HACCP requirements and comprehensive QM documentation in addition to technical equipment sourcing as needed. We will help you get a foot in the door of the international food industry!